BitPay may be the largest Bitcoin payment processor. Based in Atlanta, USA, and nicknamed the “Paypal of Bitcoin”, they process bitcoin payments for over 40,000 businesses and organizations. BitPay now offers a lifetime free plan with no transaction fees and instant conversion to US Dollars, Euros, GBP, CAD, and many other national currencies. BitPay eliminates the exchange rate volatility risk of accepting Bitcoin with no additional cost to merchants. 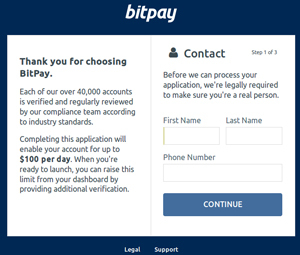 BitPay requires new merchants to apply for an account. 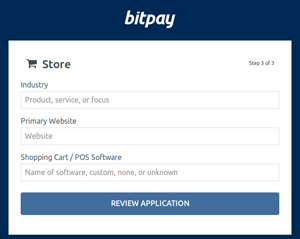 Each application is manually reviewed by BitPay before being approved. 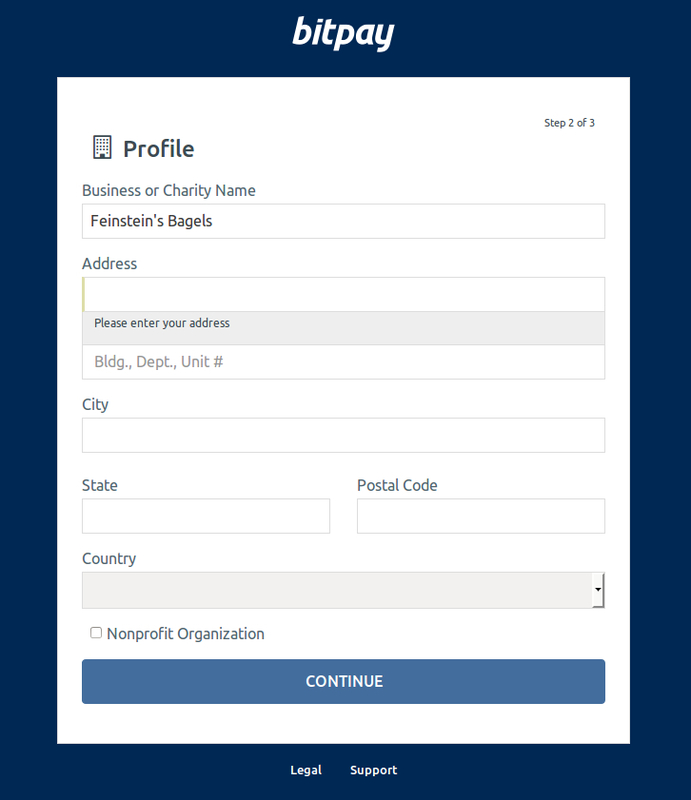 To apply, visit the BitPay sign up page and enter your name, phone number, business address and info. 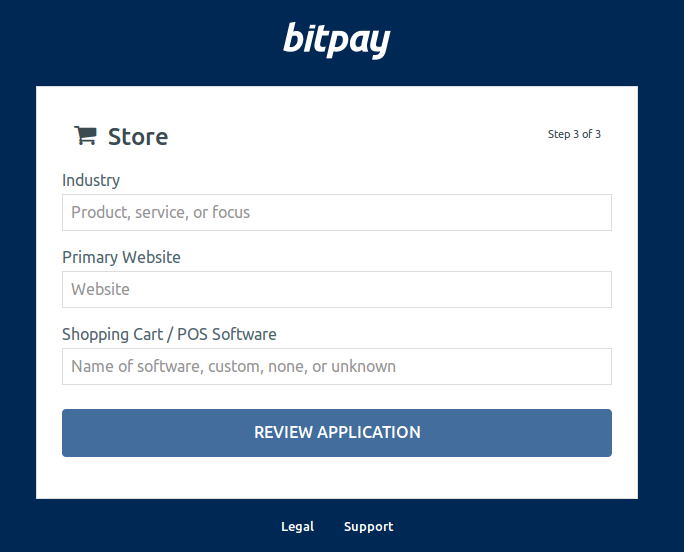 After submitting your application, BitPay will contact you within a few days to let you know if your business has been approved. 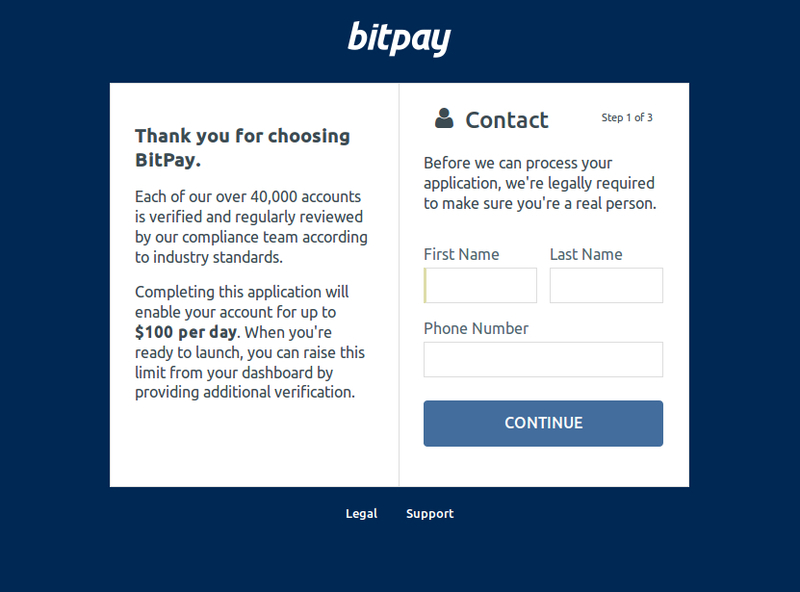 Once approved, they’ll send you an email containing a link to “Get Started With BitPay”. After following the link to the BitPay website, you’ll be prompted to choose a currency you want incoming Bitcoin payments to be automatically converted to, and a bank account for receiving deposits. The options include US Dollars, Australian Dollars, Euros, Pounds, Mexican Pesos, New Zealand Dollars, and South African Rand. You can also choose to keep the Bitcoin payments instead of converting them, or choose to keep a certain percentage of income in Bitcoin. 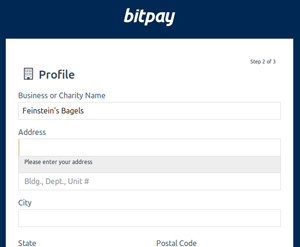 Now that you’ve got a BitPay account, you’re read to start accepting Bitcoin payments. Initially, you can accept up to $100 in sales per day, but this can be increased by submitting more verification info about yourself. Your account will be initially limited to $100 of sales processing per day. To increase this level to $1,000 per day, goto My Account > Approved Sales Volume click the Apply button for the Basic level. 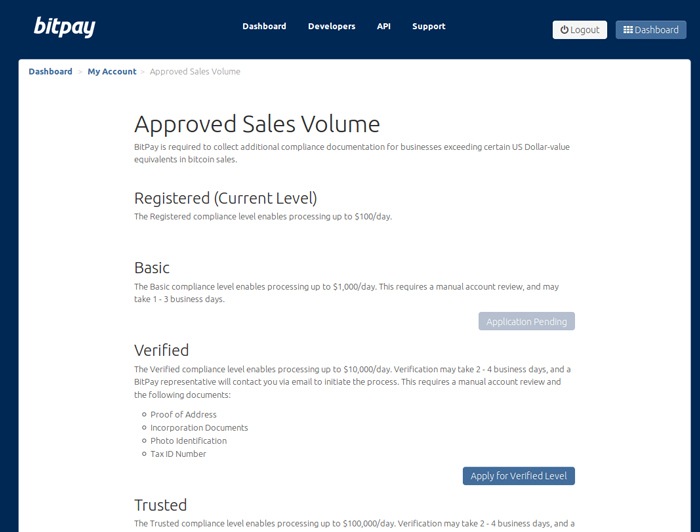 BitPay will manually review your account in 1-3 business days. There are additional levels of sales volume you can apply for (Verified at $10,000/day and Trusted at $100,000). These levels require you to submit more verification documents to prove your identity and business, such as photo ID, proof of address, tax ID number, bank statements, etc.